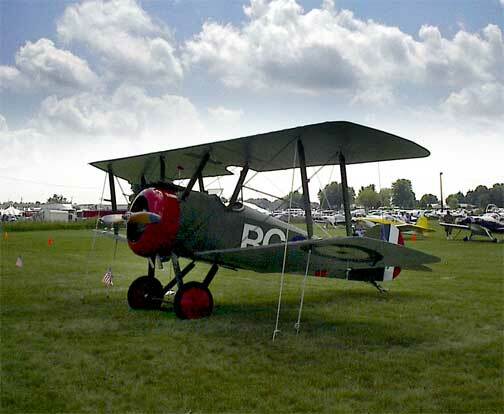 This Sopwith Camel replica was photographed at the Oshkosh AirVenture 2003, images by Andrew and Timothy W. Shire. 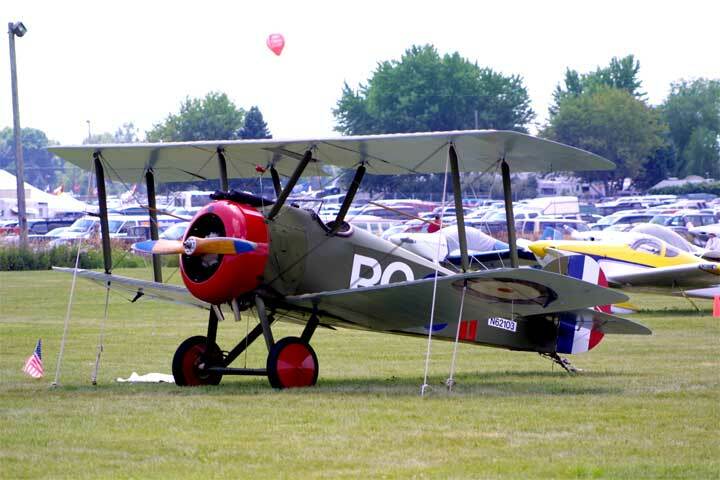 Just a short note to point out something you are probably already aware of, to wit: the Neuport 17 replica (correctly spelled Nieuport 17) is in fact a Sopwith Camel. 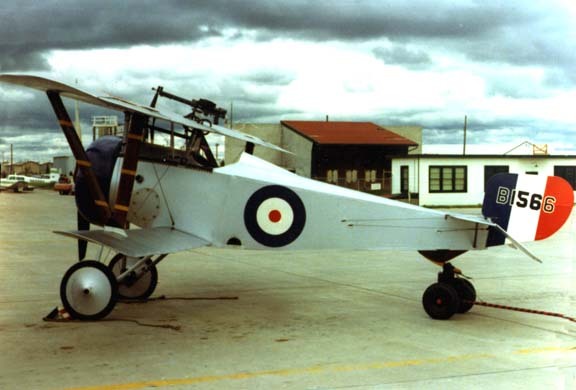 Note the "hump" over the twin Vickers (Nieuports had a Lewis gun mounted on the top wing, and sometimes a centrally mounted machine gun, but not twin Vickers), the characteristic dihedral of the lower wings, slightly forward leaning parallel outer-struts, more robust airframe, and the fully cowled rotary engine - of course, the photograph does not allow the viewer to see that it is a rotary built, generally, by Le Rhone or Bentley. Rotary engines rotated with the propeller, as I am sure you know. The Bentley was the Bentley of Bentley motorcar fame. The Canadian Museum of Flight, formerly of Crescent Beach near White Rock and now at the Langley Airport, has a full scale mockup of a Camel, and it was, of course, Wayne Ralph of White Rock who wrote the major biography of William G. Barker VC, DSO and bar, DFC, Military Cross and bar, Croix de Guerre, Canada's most highly decorated airman. Barker flew Camels, in fact a single Camel (serial number B6313), to achieve 46 of his 50 aerial victories; the other four were achieved in his last, famous, fight against overwhelming numbers (the press claim of 60 is an exaggeration that does not diminish the amazing battle - neither does the fact that he had to fight his way out after what he believed was a mistake in judgment). Camel B6313 and no other pilot in a single aircraft is believed to have been as successful in any conflict. 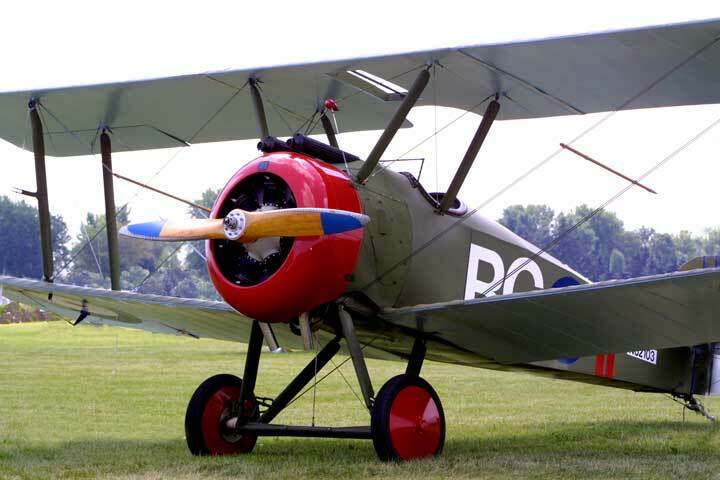 Barker's last fight was flown in a Sopwith Snipe, in essence an improved variant of the famous Camel. B6313 was scrapped; the Snipe is in the War Museum in Ottawa. A couple of other interesting points to note - probably well known to you - are that Tom Sopwith lived to be about 100 and remained the CEO of Hawkers, which succeeded Sopwith's, almost to the end of his life. 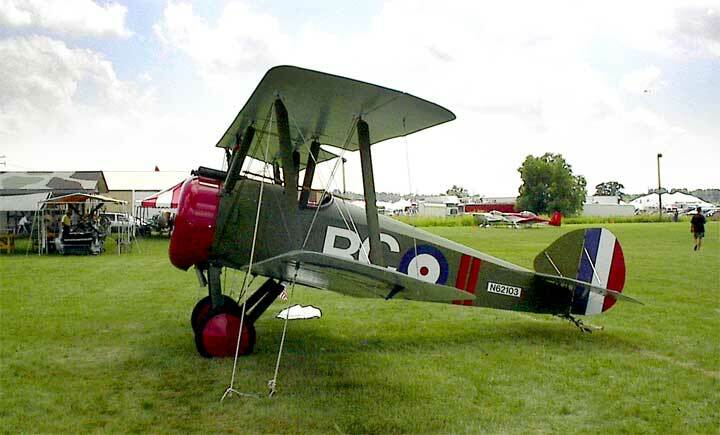 Hawker Aviation was named after Tom Sopwith's later partner, Australian Harry Hawker. At the end of WWI demand for aeroplanes vanished, Sopwith's was largely shutdown and started up as a smaller firm under the Hawker name in one of their earlier factories. Dare devil and would-be Atlantic first-crossing pilot Harry Hawker was later killed in an air accident, as was Barker in 1930. Hawker Aviation eventually became Hawker-Siddley and eventually British Aerospace; it of course, is responsible for the Hawker Hurricane, Hawker Typhoon, and Hawker Tempest used in WWII, and the later Hawker Hunter and finally the Hawker-Siddley Harrier - all designed under the careful eye of chief designer Sydney Camm and ultimately of Tom Sopwith himself.